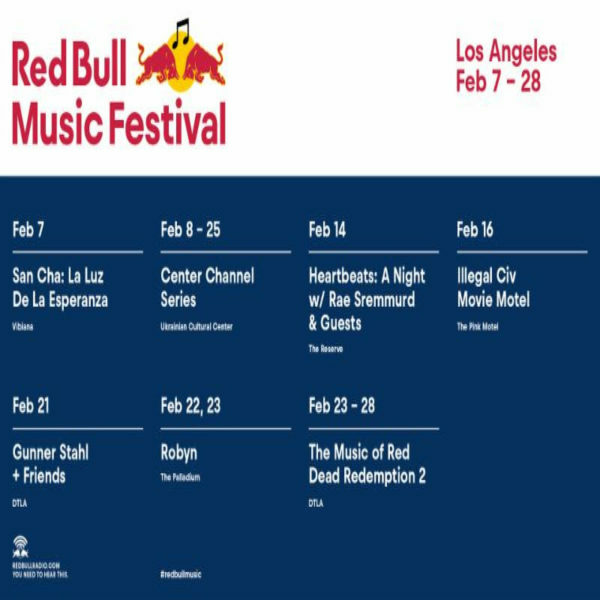 Red Bull has announced the return of its music festival to Los Angeles in February 2019. The nearly month long event will feature a variety of different acts that are intended to highlight the intersection of music and other art forms. This event is relatively unique, and will feature a wide variety of shows throughout the month. Some of the larger events include a performances by rap duo Rae Sremmurd and Swedish pop artist Robyn. One of the most unique events of the festival will be a night of music from Rockstar’s hit video game Red Dead Redemption 2. The game’s soundtrack includes many songs by the games composer, Woody Jackson, as well as a number of tracks by a variety of different musical acts. Some of the more prominent names featured in the game include D’Angelo and Willie Nelson. Rae Sremmurd have had a number of commercial hits over the past few years, with their song “Black Beatles” being the most popular. The group released their third album, SR3MM, earlier in 2018. The project was a massive undertaking for the duo and was separated into three different parts. The album featured a set of songs by each rapper, Swae Lee and Slim Jxmmi, as well as a set of songs from both of them. Their show at the Red Bull Music Festival, titled HEARTBEATS: A NIGHT WITH RAE SREMMURD AND GUESTS, will feature a combination of their hits accompanied with covers and renditions of classic hollywood love songs. The set will be focused on combining old school romance with modern songs. The show will even take place on Valentine’s day, February 14th. Swedish artist Robyn will have two nights to perform during the festival, with her sets being the beginning of her North American tour. Robyn released her most recent album, Honey, in 2018 after an 8 year break from music. Robyn’s newest project featured heavy electronic and dance elements, an iconic aspect of much of her discography. 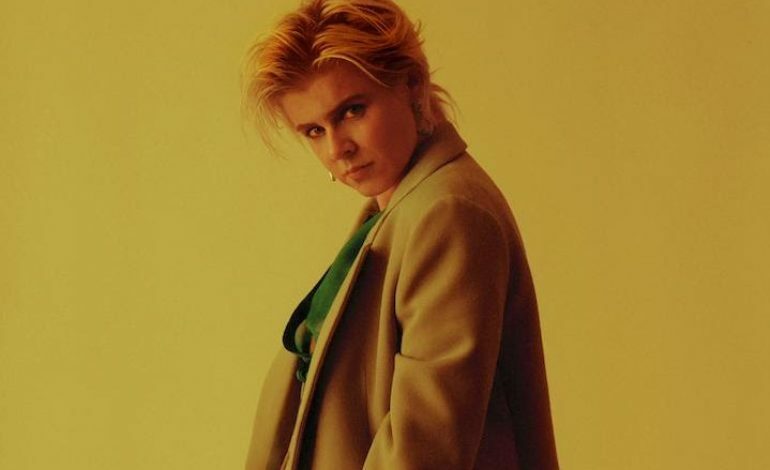 Beginning her career in the 1990s, Robyn has been a unique voice in the music industry for over two decades. Some of the songs featured on her newest album include “Honey,” “Ever Again” and “Missing U.” Her performances at the festival will take place on February 22nd and 23rd. February 23rd is also the night that composer Woody Jackson will lead fans through the songs of Red Dead Redemption 2. Red Dead Redemption 2 is a western video game that follows the story of some of the last cowboys in America’s shrinking frontier. Following its recent release, the video game was met with praise from nearly everyone, a feat that was made possible partly due to the incredible quality of its music. The show at the Red Bull Music Festival will be a full ensemble performance of some of the songs from the game’s 80-hour score along with performances from various artists who contributed to the soundtrack. One such performance will be done by Indonesian duo Senyawa. Tickets for the festival will be available on December 5th at Red Bull Music’s website. UPDATE (1/17): The second phase of the Red Bull Music Festival in Los Angeles has been announced. Included in the lineup is a Valentine’s Day show featuring Trina & CupcakKe and a Producers Roundtable with Sounwave, Mixedbyali & Tae Beast. Also announced is special Center Channel programming featuring a Selena screening with a Q&A with Edward James Olmos & Jacob Vargus, Wigstock 35th Anniversary celebration with Lady Bunny, a screening of The Mountain starring Jeff Goldblum and Her Smell starring Elisabeth Moss, Compose LA collaboration with with Patrisse Cullors of Black Lives Matters and Man Parrish and Josh Cheon discussing soundtracks to adult gay films in the ’80s. UPDATE (1/31): Red Bull Music Festival Los Angeles has announced another update to its programming. While the last update was more film-oriented, this update is mostly about the music. The first new addition is a performance by Sun Ra Arkestra. This rare LA performance will see the band performing a live score to the 1974 film Space Is The Place, an Afrofuturist film. Also appearing at the festival is Dylan Carlson’s Earth, pioneers and legends of the drone metal genre. They’ll perform a special live score, the details of which have not yet been revealed. The third musical addition is Iasos, who is an innovator in the genre of New Age music. He’ll perform during the full moon. There will also be two film screening events added to the lineup. First up is The Decline of Western Civilization, with a question and answer period featuring Penelope Spheeris. Second is screenings of This Is The Life, Wattstax, Grateful Dead Movie, Sweet Sweetback’s Badasssss Song, Foxes and Desperate Teenage Lovedolls.